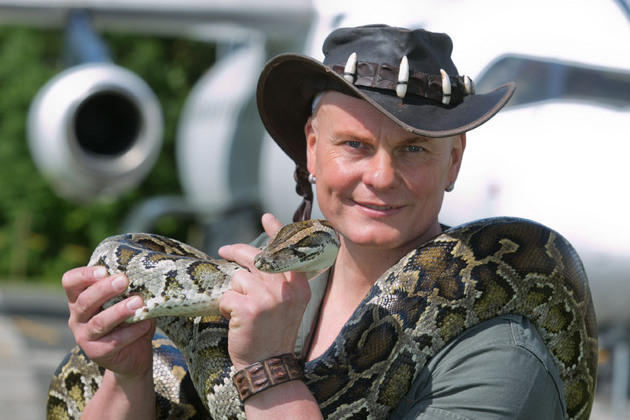 Manchester Airport’s Runway Visitor Park will be inviting families to experience Crocodile Joe’s Wild World, an interactive reptile education and handling show, throughout the summer holidays this year. A keen conservationist and reptile specialist, Crocodile Joe was given the name by Aborigines while working with zoologists during a ten year spell in Australia. Fresh from the London Pet Show and a number of recent appearances on The Paul O’Grady Show, Crocodile Joe will provide visitors to the runway park with a rare chance to meet his wide selection of rescued exotic animals, learn about which far-flung destinations they can be found, and take part in an exciting treasure hunt. Launching on 13th July, Crocodile Joe’s Wild World will be hosted on seven weekends throughout the summer as part of a packed programme of events at the Runway Visitor Park, which attracts more than 330,000 people each year. Manchester Airport’s Runway Visitor Park is home to Concorde, the world’s first supersonic airliner, and provides people of all ages with a great visitor experience. From a front row seat watching planes take off, to a journey of discovery at the education centre and the chance to pick up a souvenir from the on-site gift shop, there is something for all the family to enjoy. Robert Pattison, Runway Visitor Park Manager, added: “We’re really excited to have Crocodile Joe on board for a summer of fun at the park. As a business, we’re keen to support conservation of the environment and Crocodile Joe highlights a number of issues happening in the wild which affects animals but in a fun and exciting as well as education way. Crocodile Joe’s Wild World will be coming to the Runway Visitor Park on 13th and 26th July as well as 3rd, 10th, 16th, 24th and 30th August. There will be four shows throughout the day on these dates. To experience Crocodile Joe’s Wild World, all you need to do is book a FREE ticket on arrival at the park. For more information, contact the Runway Visitor Park on 0161 489 3932 or visit the website: http://www.manchesterairport.co.uk/manweb.nsf/Content/runwayvisitorpark.